Which place do 당신 like more? Do 당신 plan on watching Justice League in theaters? Has your 가장 좋아하는 DCEU characters list changed with aquaman out? I heard about 슈퍼맨 wearing a black costume in the film so I think that he's being brainwashed 의해 either Steppenwolf 또는 Darkseid into being evil which could bring back Batman's obsessive hatred of Superman. This song is a version of the Wander Over Yonder song "I'm the Bad Guy." That song is a 디즈니 song. That song is not owned and created 의해 me. DC and Suicide Squad are also not owned and created 의해 me. The Enchantress: "I'm not the damsel in distress. I'm not the Joker's boyfriend 또는 Deadshot's frightened princess. I'm not a little 펭귄 who needs your help to fly. I'm the bad guy. All these former villains that 당신 see have shaken knees and have knelt before me so I'm not your teammate 또는 your partner in crime. What am I Suicide Squad?" Zack Snyder reveals what was supposed to happen in Justice League. 기사 의해 Steve Seigh for JoBlo, 25 MAR 2019. 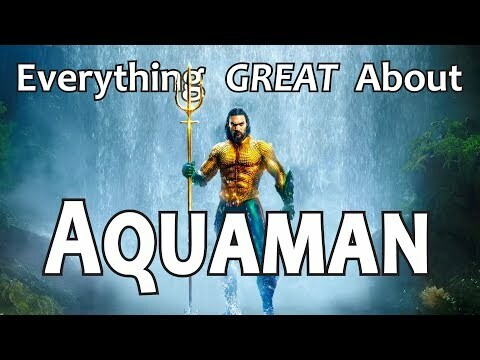 의해 Steve Seigh for JoBlo, 4 MAR 2019.
a video 추가되었습니다: Everything GREAT About Aquaman! a poll 추가되었습니다: Which Shazam character is your favorite? a comment was made to the poll: Which place do 당신 like more? a poll 추가되었습니다: Which place do 당신 like more? Who is the main villain in 배트맨 V Superman: Dawn of Justice?